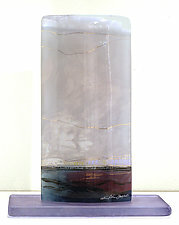 "I work to translate and elevate ordinary, day-to-day experiences into enthusiastic and energetic celebrations. 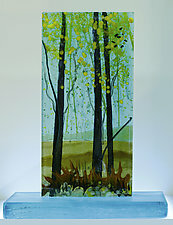 Glass is the medium that reveals this natural vibrancy to its utmost. 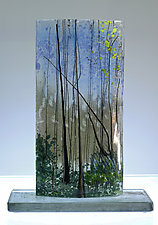 I enjoy using glass to create something that is both abstract and literal. " 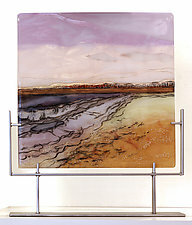 As an artist, Alice Benvie Gebhart's goal is to communicate visually using kiln-fired glass. 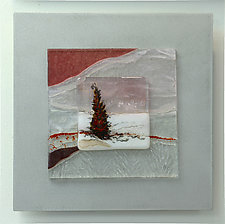 The fluid nature of melting glass adds energy and an organic feel to her work. 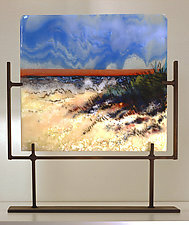 The colors in her work are not painted on, but are from the glass itself. 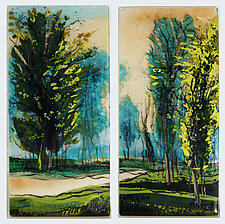 Choosing colors that enhance the mood of the image is an intuitive ritual. 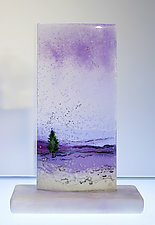 The idea from which she started and the direction the glass chooses combine, and this leads to an expression that becomes her narrative. 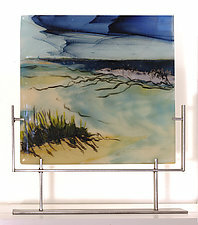 Alice Benvie Gebhart cuts and layers pieces of brilliantly colored sheet glass and glass powders in a kind of collage, which she then places in the kiln and fires from 1250-1500 degrees to melt and fuse the glass together. 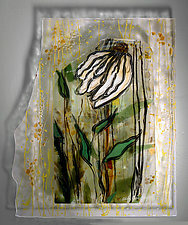 She repeats the fusing process several times until the desired effect is achieved. 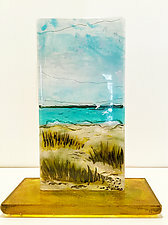 After up to four firings, she applies the finishing touches of black sgraffito and 23-karat gold, and the glass is put in the kiln for its final firing. 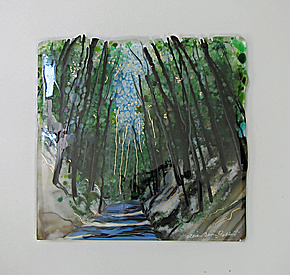 Each time she opens the kiln, she discovers a new creation that comes from her mind's eye as well as the psyche of the glass and the kiln. 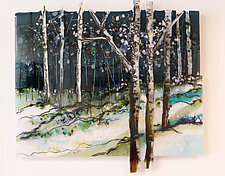 Alice Benvie Gebhart earned her bachelor and master's degrees in art education with concentrations in painting and printmaking. 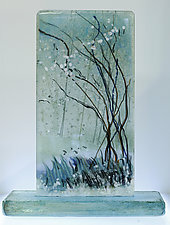 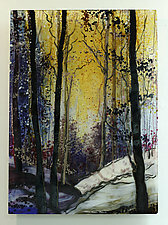 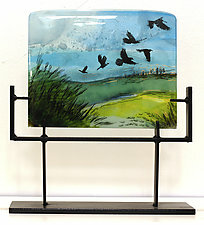 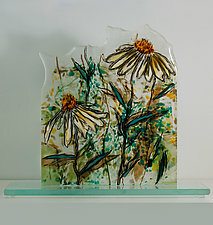 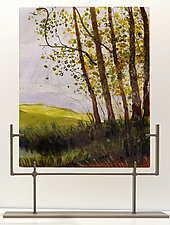 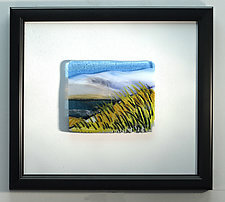 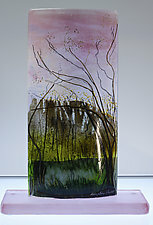 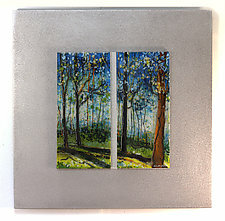 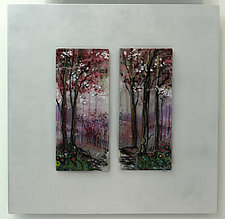 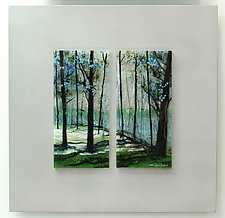 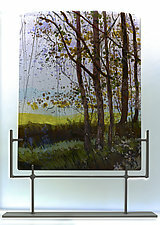 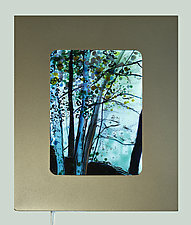 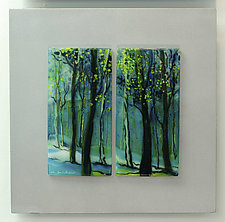 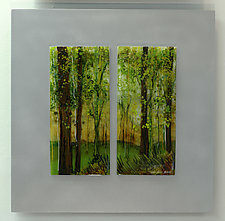 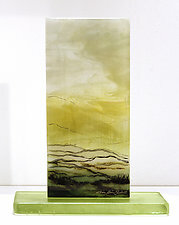 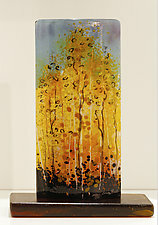 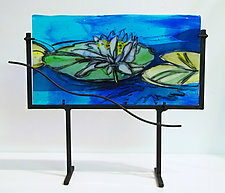 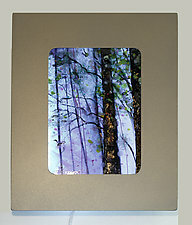 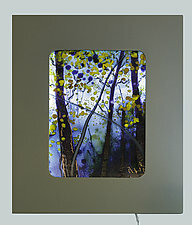 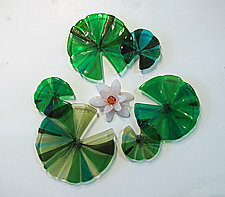 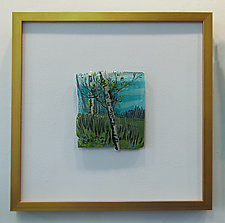 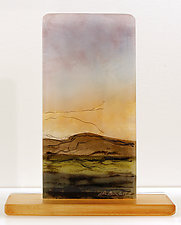 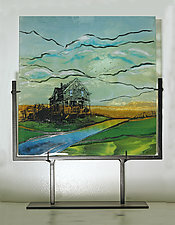 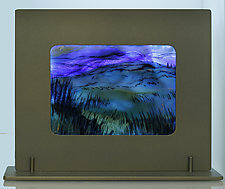 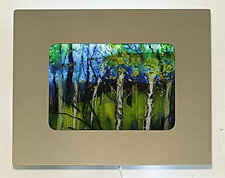 She worked as a teacher and painter for many years before discovering fused glass. 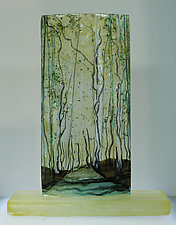 She now works exclusively in kiln-fired glass.